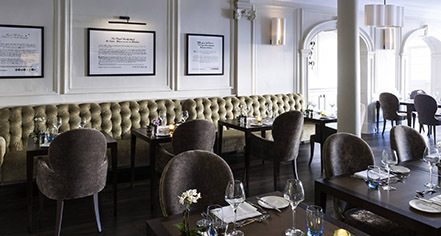 The Castle Hotel Windsor offers an excellent dining experience inside its Marco Pierre White Steakhouse Bar & Grill. One of celebrity chef Marco Pierre White’s restaurants, the steakhouse serves up an amazing menu of old British classics. Chef White has created his signature dishes with the finest, local ingredients found throughout the verdant farmlands of Berkshire and its neighboring counties. 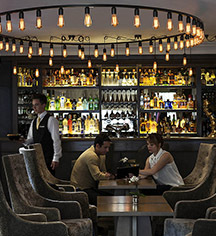 Guests will adore the restaurant’s lively atmosphere, which is perfect for hosting a thrilling cocktail hour. Breakfast, all-day dining, and à la carte menus are available. The restaurant is open from 12:30 p.m. to 2:30 p.m. for lunch and from 6:00 p.m. to 10:00 p.m. for dinner.